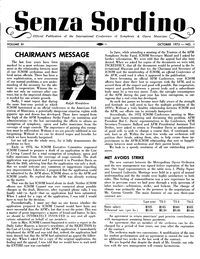 In 1962, ICSOM’s founders knew that in order for our orchestras to survive and thrive they must unite, and a newsletter that could be read throughout the union and the field would be of great importance. 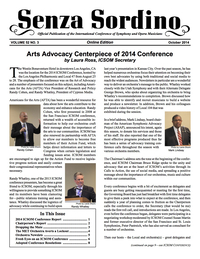 For the first time, the issues affecting orchestral musicians could be reported and analyzed by those who knew the issues best—the orchestral musicians themselves. Senza Sordino (Italian for “without mute”) would be the perfect name for this publication. 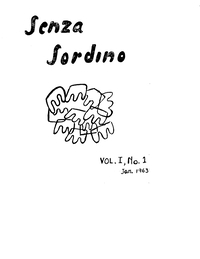 Senza Sordino has been in continuous publication since January of 1963, and this archive constitutes a crucial history of symphonies over the past half-century, detailing how orchestras performed, thrived, suffered and emerged stronger both in our communities and our union. Prior issues going back to January 1963 can be read or downloaded in the Senza Sordino section of ICSOM.org.